How to Photoshop Webinar I. Magic light ideas for Photoshop. 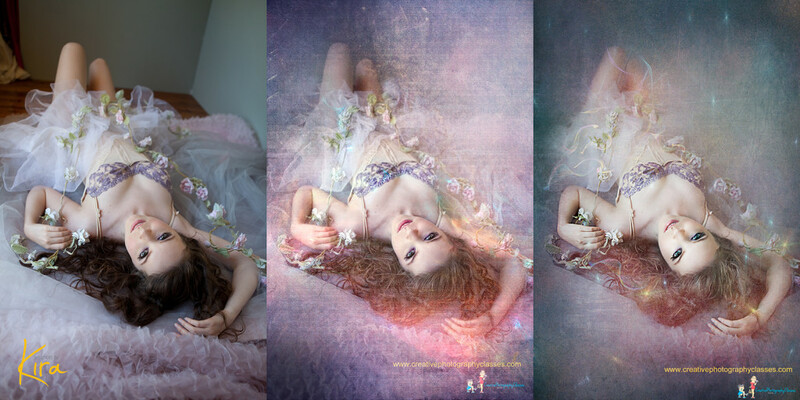 From Raw to Final image. Introducing Webinar I Recording On-Demand. Annual Membership Subscribers Access only. Ever wondered how best photographs in the world, the magical ones that take your breath away, were created? Have you always thought it is beyond your reach? Not any more. Now you too can create Magic and start straight away after watching this 1 hour webinar on demand. Watch the recording of the Magic light ideas for photoshop webinar I, where Kira processed this image LIVE in front of a global audience! From RAW to the final result. Photo editing tips and photoshop techniques on how to create Magic revealed! Showing you how to create amazing effects in photoshop with just a few clicks! And a Q&A section at the end! Unique images that you will start creating after watching this will make you stand out from the crowd instantly. 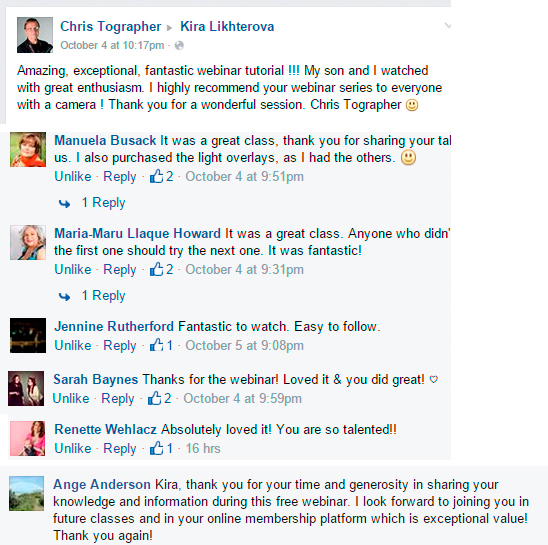 Save time and money, learning in just one hour what the best photographers in the world were learning for years! These webinars and their recording are now available to you when you get your Annual Membership Subscription and join our family! Additionally, Annual Members have the exclusive benefit of attending regular future webinars LIVE; and participate in the Q&A segment. They can also access recordings at any time. Learn and practice at your own pace. 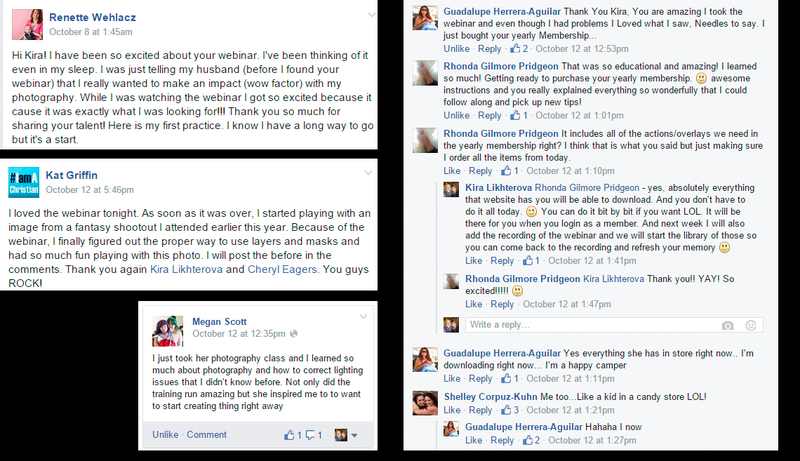 See what people are saying after attending this Webinar. Get access to All Video Tutorials, PDF's, Posing Guides, Actions, Textures, Overlays, Digital backgrounds and "How To's" for a year. Save over $600 - Amazing Value! Plus Exclusive Member-Only Photoshop Live Educational Webinar Recordings. Includes all refreshed content as it is released during your membership.